Huzzah: A Toast to Britannia! This year marks the 150th anniversary of the start of training of British naval officers on the River Dart in Devon. In 1863 the wooden hulk HMS Britannia was moved from Portland and moored in the Dart. In 1864, after an influx of new recruits, Britannia was supplemented by HMS Hindustan. The original Britannia was replaced by Prince of Wales in 1869, which was later renamed Britannia. The splendid red-brick college at Dartmouth was completed in 1905 and the current commanding officer is Captain Jerry Kyd (one ‘d’). Last weekend more than one hundred officers and cadets from BRNC marched through the Devon town of Dartmouth with swords drawn, bayonets fixed, drums beating and colours flying. No, it wasn’t an invasion but BRNC exercising its right of Freedom of Entry. It’s the first time in more than 50 years the college has done so since being given the honour in 1956. Freedom of Entry dates back to medieval times, a symbol of a close relationship between citizenship and military. Over 3,200 cadets from 68 different countries have passed through the doors of the college in the past four decades alone. There’s a long tradition of training international naval officers at Dartmouth and the rolls include three twentieth-century monarchs! Many male members of the Royal Family have attended BRNC – The Duke of Edinburgh (who met his bride-to-be, Princess Elizabeth, here), The Prince of Wales, The Duke of York, Prince William. In Kydd’s day there was a small naval college at Portsmouth but the majority of naval officers learned on the job. Admiralty regulations stated that a man had to have served a minimum of three years as a midshipman or master’s mate in the Royal Navy before qualifying for lieutenant, and have served a total of at least six years at sea. Nowadays, officer training takes place ashore and afloat with opportunities to take up around 20 specialist officer roles from the six main branches of the Royal Navy – Warfare, Engineering, Logistics, Medical, Chaplaincy and Aviation. There’s been some talk of proposals to close Britannia Royal Naval College but fortunately the security of the college now seems assured, at least for the foreseeable future. 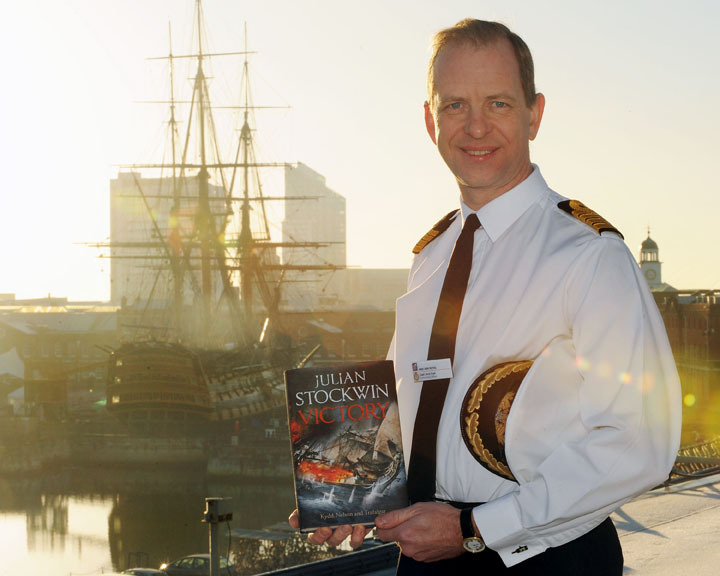 Britain leads the world in officer training and I would have been very saddened indeed had Britannia gone the way of many fine institutions in today’s climate of budget slashing – and, on a personal note, I treasure the honour of having had the launch of MUTINY there. Julian, I just finished reading “MAYDAY The Decline of American Naval Supremacy” , (Excellent aand Depressing at the same time). 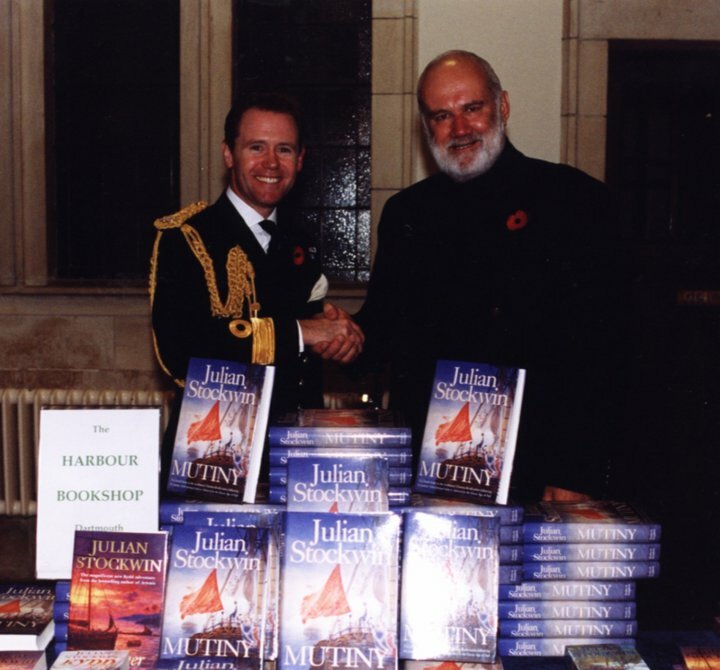 In it the author Seth Cropsey, states that the Royal Navy has fewer ships today that at the time of Henry VIII. How can BRNC survive with so little opportunity for its graduates to achieve a seagoing command, with so few billets available? Thanks for posting these Julian, I really look forward to getting them!! Thanks for the thanks, Dan! Am I right in thinking that the college moved to Eaton Hall Chester during WW2 so that it could be used for other purposes? I believe that’s true but I’d heard it was because BRNC suffered bomb damage during the war. Thanks for your potted history of BRNC and the knowledge that the college is safe for the time being. I spent six years there in the Royal Marines Band and enjoyed my time there.It would be a travesty should the government close it for a short term gain.